By Ross McGovern | May 10, 2013. Dining out and taking the time to enjoy a well cooked meal is a thing of the past, as each meal nowadays seems to contain some infamous secret. You can’t seem to find a decent meal these days without hearing some shocking story behind the various nutrients you have on your plate. Inevitably, the price reflects how lucky you are to be there at that specific time and place enjoying their simple food. However, The Liberty disagrees with this type of hogwash. We are all for frugal porcini, cheapskate skate, a mean burger and a thrifty burrito. Here are some of my recommendations and reviews for the best places to find good, cheap food in the local area. This place is a stalwart among chipper aficionados. On the economical side of what’s on offer, it costs €10 for a meal that most people would struggle to finish. The menu offers fish such as cod, ray and sole (as if you didn’t know), but this can always vary depending on the season. I know this doesn’t exactly tickle the taste buds of your wallets, but I’m not suggesting that one goes in and asks for a lobster claw for a fiver. However, If you’re willing to double the price of a Burdocks, a decent sit-down meal is on offer. The early bird special is €20 and is on from 5pm to 7pm. The starter is a choice of smoked salmon pate, melon royal or prawn bisque. The main is either sole, goujons, salmon darne with hollandaise sauce or Irish stew and all are served with fresh vegetables. This is then followed by dessert and tea or coffee. This is a spacious café that serves a wide selection of food. However, I’d like to note that the high ceilinged room makes time-wasting very tempting. The only issue is the curious pricing. Porridge or granola is reasonable at €3.25, but €9 for soup and a salad is pushing the boat out a bit too far. This little gem stands out for its honest homemade Spanish food, in a city full of cafes and restaurants that need “concepts” to survive. There is a wide variety of Spanish and Irish dishes, minus the bitter taste of pretentiousness. The montaditos are small sandwiches, which come in between €1 to €1.50. I can honestly tell you, that they are the best value in town. An example of a more substantial meal is the cottage pie, costing only €7.50, a price bracket that caters for both our pockets as well as our stomachs. There is a fine selection of cakes on display, all averaging at a good price range, along with the traditional tapas available on weekends. The lady in charge and co-owner Teresa Varela, has an obvious passion for good food, accompanied by her pleasant nature, which is reflected in the atmosphere of her establishment. Any place which throws ‘bistro’ onto the end of their name immediately screams highfalutin food presentation. However, it’s difficult to fault a place which uses the best produce to serve good food. I’ve been here a few times, but have yet to be let down. Although, when you pay €13 for a burger it would be a sin to be served anything below par. The Lennox isn’t cheap, but rest assure it’s reliable for good food. 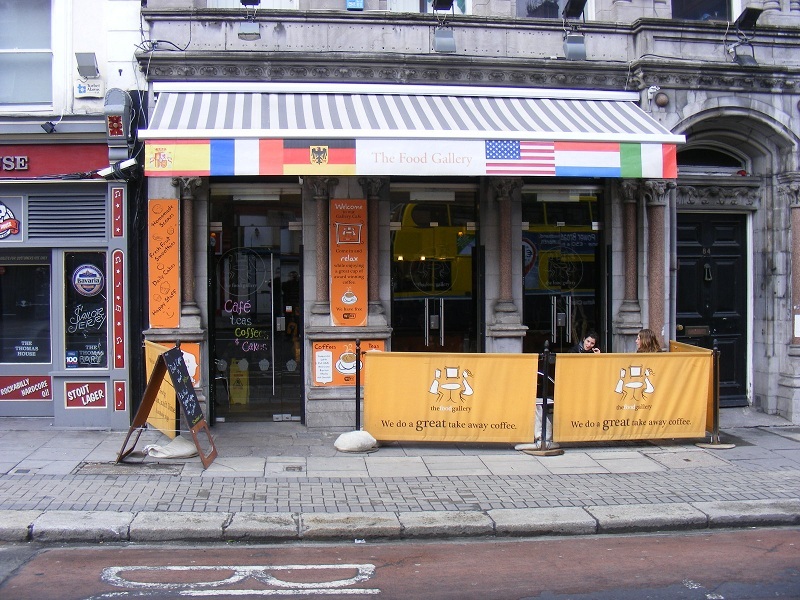 This place has been open on Camden Street for quite a while now and has racked up its fair share of reviews along the way. This success is partly due to the fact it doesn’t over-charge. It offers a lively yet comfortable atmosphere to enjoy all it has to offer. Roughly 80% of the mains are priced at €10 and are perfectly acceptable. It may not be parfait for a long and intimate, romantic meal for two, but this place is all about the food, not the romance.